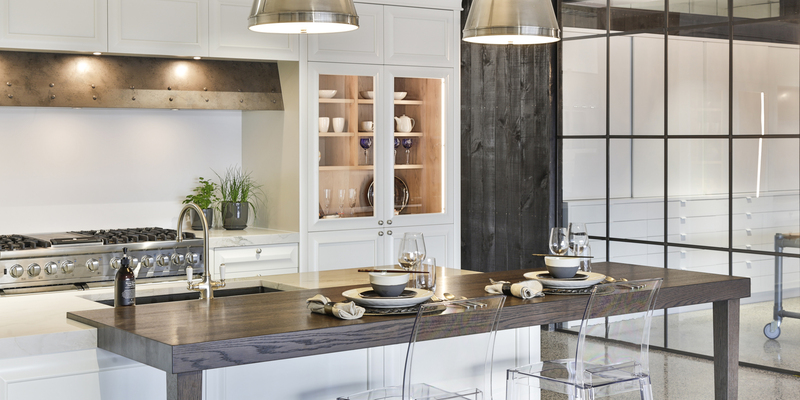 Kitchens By Design | Kitchen Design for Discerning Clients : Byron Traditional. 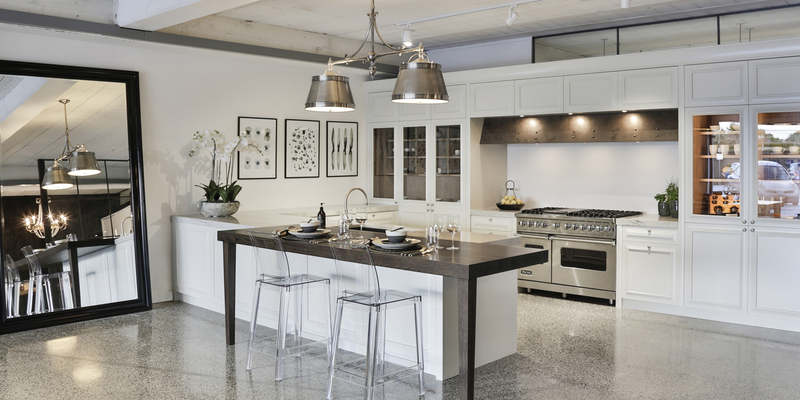 The aim with this kitchen, located in our Takapuna showroom, was to design a traditional-style space, custom made and finished with all the mod cons and convenience expected of a modern-day kitchen. Features include an on-bench pantry, integrated appliances, a large freestanding cooking range, and a bespoke extraction hood, finished in smokey aged bronze. 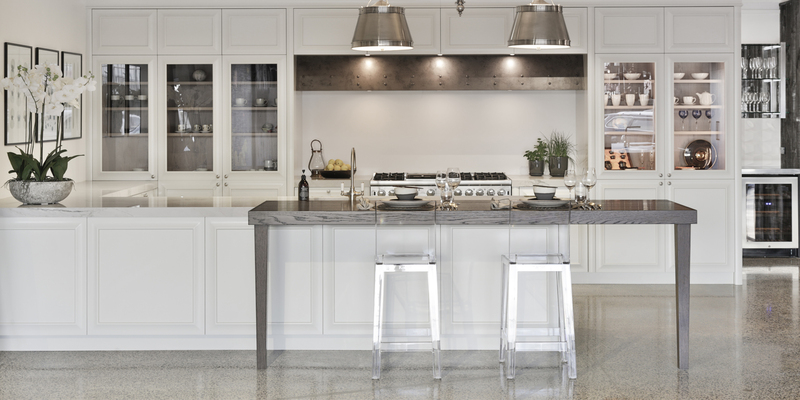 A modern addition to the otherwise traditional look is the oak breakfast bar that sits on the benchtop in front of the sink, designed to look like a piece of furniture. The hand-made, panelled doors with rounded end panels give this kitchen an understated elegance, as does the classical pewter tapware and door pulls from Perrin & Rowe. 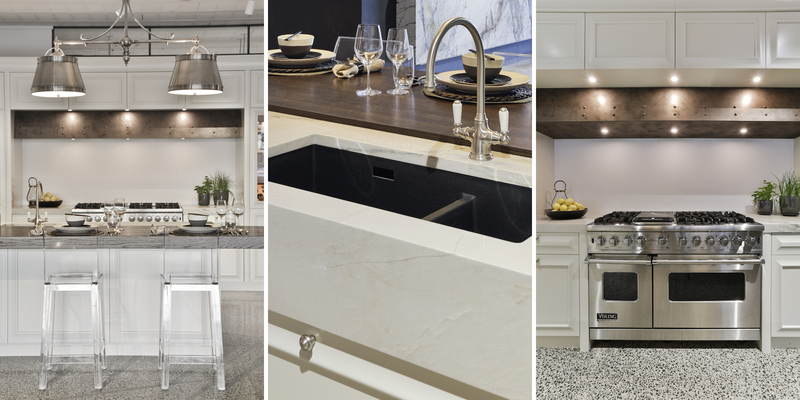 The level of craftsmanship and attention to detail in this kitchen is second to none – something that is associated with every project completed by Kitchens By Design. 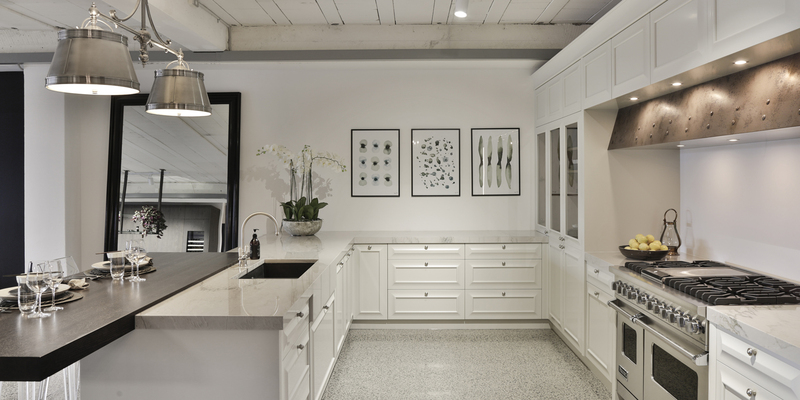 The hand-made, panelled doors with rounded end panels give this kitchen an understated elegance.